John, Josiah and Jenaya spotted a family of baby Red Foxes while they were out on one of their first forays from the den. A few nights later, a late-spring snowstorm rolled in, and the Launsteins rushed back to the foxes at first light in case the babies were brave enough to explore their new winter wonderland. Sure enough, a few of them ventured out! 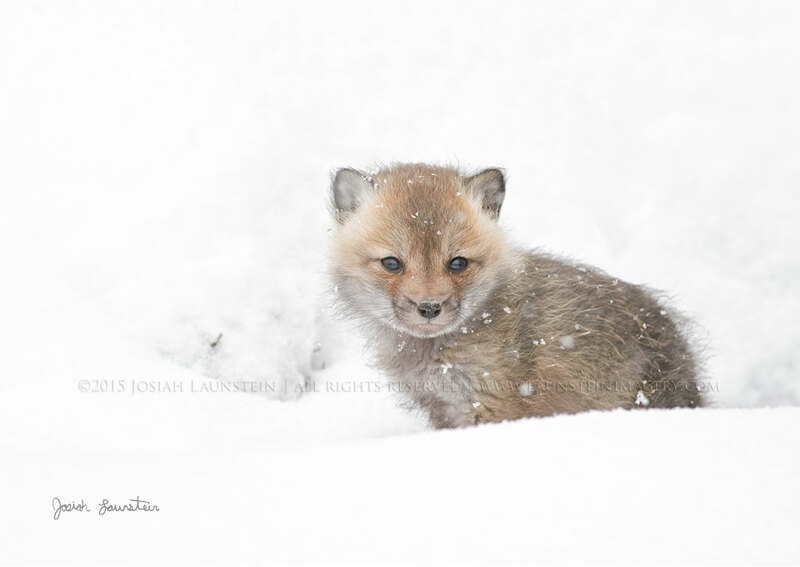 As the snowflakes gently fell on this young fox, Josiah set up at the perfect angle with his long telephoto lens to capture the moment. Also available in a 12-pack as well as our 6-pack and 12-pack of assorted popular greeting cards!